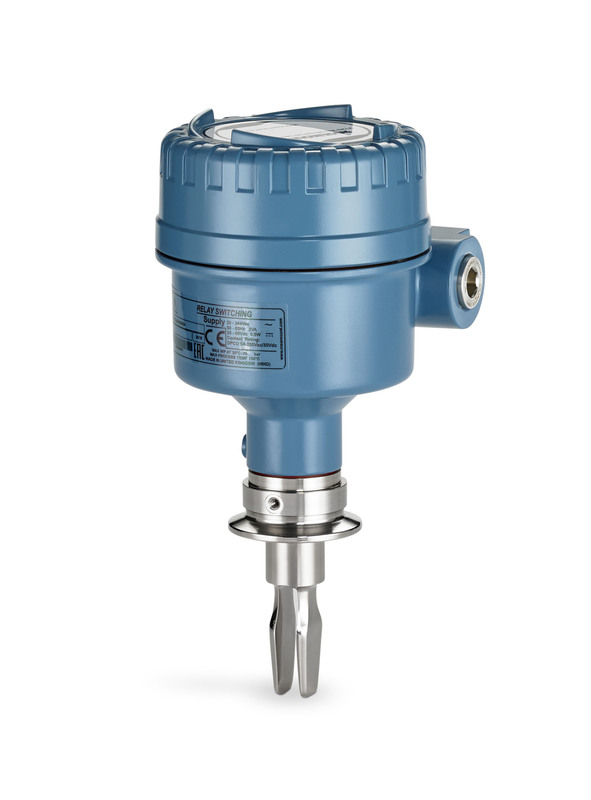 Emerson’s Rosemount 2120 series of vibrating fork switches, which provide reliable level monitoring in demanding and safety-critical applications, are now suitable for use in hygienic process environments. Hygienic certificates enable them to be used in sanitary and aseptic applications in industries such as food and beverage, pharmaceuticals and life sciences. The Rosemount 2120 series of switches, based on vibrating short fork technology, are robust, reliable, require almost no maintenance and are easy to install and use. SIL 2 certification enables the fork switches to be used for critical overfill protection, high and low level alarm and pump control duties in a wide range of process applications. Hygienic approvals are now available on tri-clamp process connections. The wetside is machined from solid 316 type stainless steel, guaranteeing zero porosity and increasing robustness, with several surface finishes available, including a new electropolished option. The Rosemount 2120 offers reliable level monitoring even in sticky/viscous applications often associated with hygienic manufacturing processes. The hygienic version of the Rosemount 2120 has been certified by both the American 3-A Sanitary Standards organisation and the European Hygienic Engineering & Design Group (EHEDG). The product is also designed in accordance with FDA and ASME-BPE standards.